The longstanding and highly renowned Henrik ‘Nordvargr’ Björkk should need no introduction given his near 3 decade involvement in the post-industrial underground. Yet to make specific reference to his most active solo guise he has issued upwards of 50 releases under the Nordvargr banner since the early 2000’s, where each have explored a wide range of sounds and stylistic approaches. Although I have not personally heard all of the solo Nordvargr releases, of the 15 or so I have they demonstrate a high level of creative flair and with more than a select few rising to laudable greatness. For this new release ‘The Secret Barbarous Names’, it sees Henrik exploring a vocal focused stylistic approach and also is notable as the first time the Nordvargr project has appeared on Malignant. Bracketed under an amalgam of droning ritual dark ambient/ post-industrial drone, the album utilizes vocals as a central element of the compositional structure, noting this focus on the vocal elements sets this album apart from other Nordvargr albums (…evidently based on Draconian and Typhonian traditions, the thematic context relates to the inherent and hidden power of scripture text which can be manifested through their correct utterance, as opposed to their specific meaning). As such the vocal delivery ranges from whispered invocations, meditative hums and low drawling to croaked chants, which the latter drawing parallels with Tibetan throat singing. With the vocals themselves being multi-layered and treated with a fair dose of reverb and echo they forum the bulk of the tonal soundscapes, where underpinning widescreen drones rise and fall in force and prominence depending on the track. Although predominantly sitting within a certain tonal spectrum overs its 49 minute span, on occasion swelling orchestral strings and slow ritual percussive drums appear to given further sonic variation. As should be expected from a Nordvargr album, its rendered sonic world is darkly hewn, but the slow pacing here manages to maintain an omnipresent meditative and ritualistic quality. Nothing also that Henrik has used the Nordvargr project to explore varied approaches, including abstract glitch (i.e. ‘I End Forever’ album) and ambient techno (i.e. ‘Resignation 2’ album) , modular synth drone (i.e. 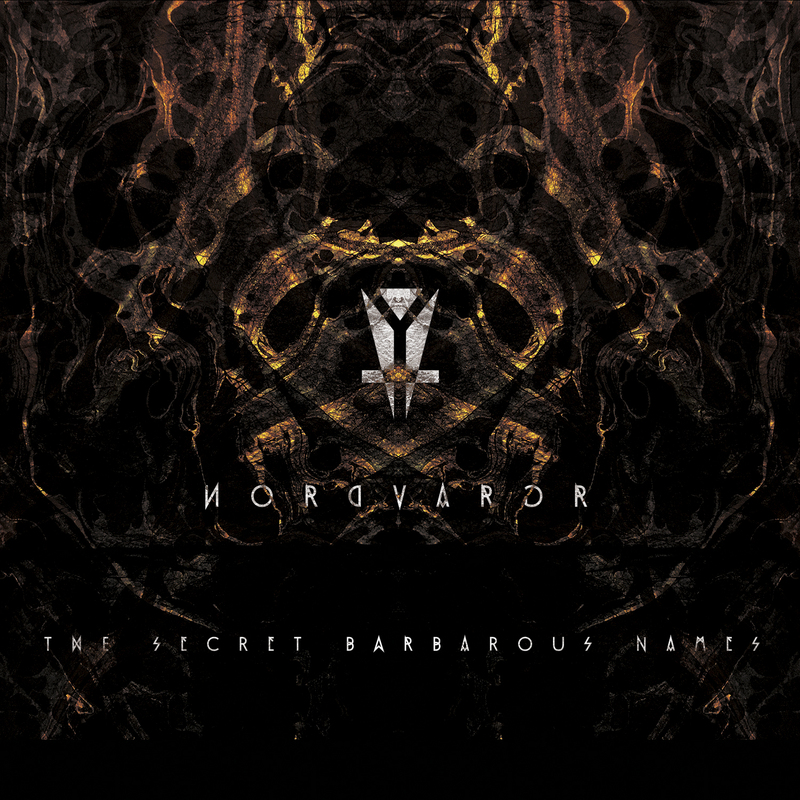 ‘Murkhr’ album) and all manner of dark ambient in-between, ‘The Secret Barbarous Names’ represents yet further variation in stylistic approach. But most importantly these new recordings sound both inspired and invigorated and certainly stands out as a pinnacle album within Nordvargr’s rather imposing back-catalogue. Regardless of whether you need a place to start, or a reason to reengage with Nordvargr’s current creative arc, this is a praiseworthy album. This entry was posted in 2017, dark ambient, experimental, Malignant Records, ritual by noisereceptor. Bookmark the permalink.